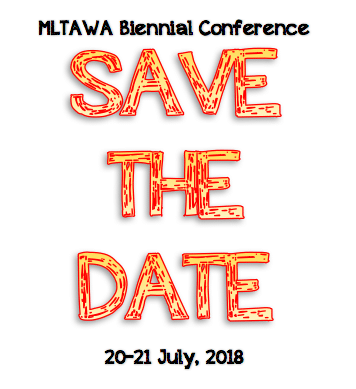 The MLTAWA is excited to announce that for our 2018 State Conference we will be collaborating with Curtin University to bring you a world-class conference on Making Task Based Learning Work in the Classroom and including keynote presentations by Dr Rod Ellis (Research Professor in the School of Education, Curtin University) and Paul Toth (Associate Professor of Linguistics, Temple University, Philadelphia), as a start. The conference is designed for teachers of languages and EALD, students interested in Linguistics or the teaching of languages/EALD and academics. Add the dates to your calendar and look out for further information and the call for papers – coming soon!